The Olive d’Or competition takes place within the framework of SIAL Canada, the largest food industry fair in this country on the North American continent. The olive oils entering the contest should come from a homogenous batch of at least 1,000 liters, and not be distributed under a generic brand. Each participant can register various products, but only two per category. During the fair all the olive oils entering the contest are displayed at the Olive d’Or space, which is especially designed to highlight the qualities of each of the oils (origin, information on the producer and distributor, classification), and these can be sampled by the visitors at the event. 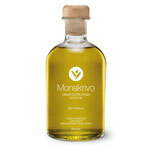 Participants must determine in which category they want their olive oil to be presented in. There are 4 different categories: Ripe fruitiness, Light Fruit Flavour, Medium Fruit Flavour, Strong Fruit Flavour. Each participant can register one or several products. The selection of winners will be held under the rules and ethics of International Olive Oil Council (COI) by an independent jury. The jury’s decision is final and without appeal. The results will be announced during the SIAL Canada show. No explanation will be given. Package 1: Participation at 2016 contest + showcase your product in the Olive d’Or area + get referenced in the official showguide. Package 2: Package 1 + sampling of your product in the Olive d’Or area during the 3 days of SIAL Canada 2016 + get the list of potential buyers who visited this space. By choosing Package 2, your product will be offered for tasting to all visitors of the Olive d’Or area. Tasting sessions will be driven by a professional hostess. This hostess will scan the badge of each visitor in order to retrieve their contact information. The list of these professional buyers or potential business partners will then be sent to participants who choose Package 2. As a reminder, SIAL Canada’s attendees are potential buyers from the retail and foodservice sectors. Participants will not be allowed to promote their products themselves in the Olive d’Or area. If you choose Package 2: please send 6 bottles (3 for the jury tasting sessions and 3 for the tasting in Olive d’Or area). All bottles must be of one of the following formats: 500ml or 750ml. If in your country, formats are different, 375ml formats can be exceptionally accepted. Tinted or transparent glass bottles are accepted.